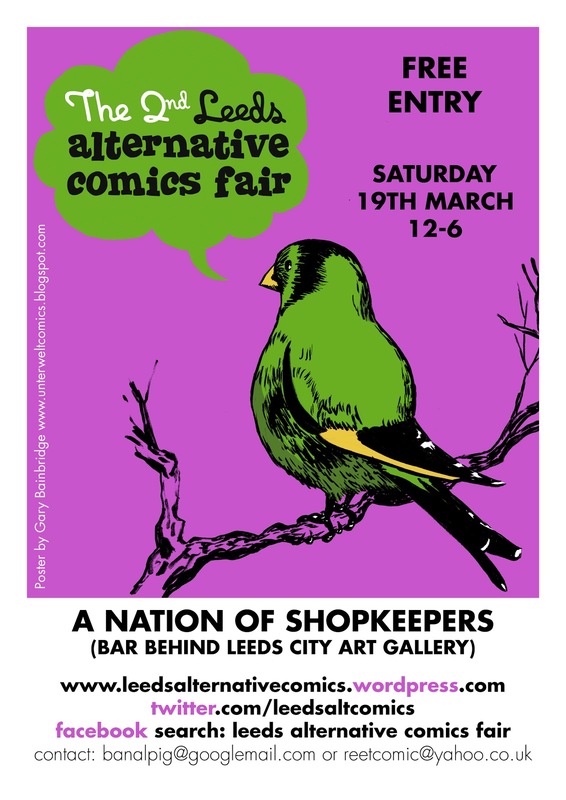 The 2nd Leeds Alternative Comics Fair is just around the corner, so I offered to do a poster as a cheers me dears to Steve and Hugh for putting on the bestest show in the small press comics calendar. The fair takes place in Leeds on Saturday 19th March. See you there! I make small press comics and other art related things. Currently, I'm working on the Newcastle-set comic Sugar Glider. I'm also drinking a cup of tea. © Gary Bainbridge 2010. If you wish to use an image in print please get in contact.